The concept of the YPPSG came from the need for young people to be able to express themselves in a safe environment away from their parents. To enable them to have discussions and share experiences with their peers who suffer from Sickle Cell or Thalassaemia. We wanted our young suffers to be confident in expressing there talents and have a say in there own education to increase their self-esteem, their confidence and to be creative. This site intends to take this concept on to the World Wide Web. This is the YPPSG website. In which you can have your say. The development of the website came out of workshops of YPPSG meetings. We want the YPPSG to be responsible for the growth of the website and the information that is put on to the website. We want you to express your creativity, to educate each other and your parents and carers regarding your feelings and how you live and cope with Sickle Cell or Thalassaemia and most importantly how you intend to be achievers in spite of your disorder. This site isn't only about Sickle Cell... it's about YOU! MSCTG Young Peoples Peer Support have registered at Coke Music and have a room in “London” called “MSCTG-YPPSG” if you are a Sickle Cell or Thalassaemia Sufferer you are welcome to join the room. If this room is misused you will be banned. 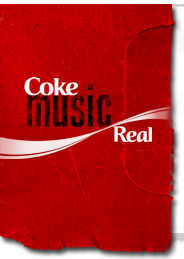 Click on the Coke Music link above to visit there website and join the coke studios. Search for MSCTG-YPPSG Studio and visit our room. MSCTG recommends that you drink as much water as possible. Coke Music is a way of allowing Sickle Cell and Thalassaemia Sufferers to hang out together. If you're online at the same time!! Keep It Clean Explicit, obscene, vulgar, or sexually suggestive language is not allowed. This includes quotes and song lyrics. Masking a vulgar word with special characters does not make it appropriate. Trading explicit or x-rated images is not allowed. Be Safe! Don't give out personal information such as your full name, phone number, town, school, or picture and don't ask others for this information either. If someone is bothering you, you may notify an online monitor by using the Call for Assistance function. Be Nice Harassment or threats based on sexual orientation, gender, race, religious views, or simply because of difference of opinion is not allowed. Feel free to express your opinions, but address the issue at hand, not the person who made it. Be Yourself Don't pretend to be someone you aren't! Impersonating a celebrity or a Coke Studio's employee is against the rules.